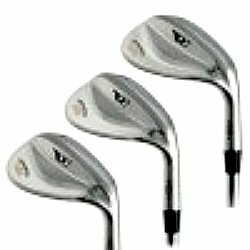 Tom Wishon wedges are a step above from your ordinary heads that are available in that big box store. 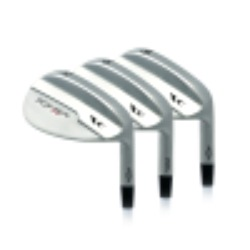 His PCF Micro Tour and Wide Sole wedges with their traditional sole design, milled faces and Micro-Groove scorelines, available in Platinum and Satin Chrome finish, are all that you need to fill in the scoring section of your golf game. 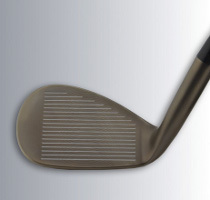 His new addition MICRO-GROOVE HM Wedge, with a medium-wide sole in a soft carbon steel, classic ‘Tear-Drop’ profile, and his newest PCF Micro Pro wedge design completes his wedge profiles. Have a look below at these great heads. 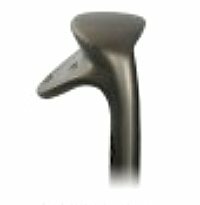 CNC Milled Face with Wishon Golfs proprietary Micro-Groove™ scorelines to maximise every golfer’s ability to spin the ball. Tests with TrackMan® launch monitor verify a 1000rpm increase in spin rate compared to typical U-groove scorelines on a glass bead blast face. Conforms to USGA/R&A groove rules. Micro-Groove™ scorelines are more narrow and closer together than traditional scorelines – the Micro-Groove design allows the edges of 5 lines to contact the ball at impact while traditional lines only allow 3. •Available in Bright Satin Chrome plating or Dark Nickel Platinum plating finish. 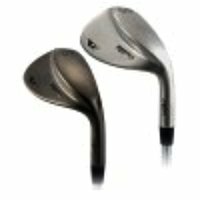 •Traditional, narrow sole, classic shape/profile stands as the finest overall shape and set-up behind the ball in a TWGT original wedge design. •CNC Milled Face combines with TWGT’s unique Micro-Groove™ scorelines to offer the highest level of backspin available in a wedge design. •Micro-Groove™ scorelines are more narrow and closer together than traditional scorelines – the Micro-Groove design allows the edges of 5 lines to contact the ball at impact while traditional lines only allow 3. 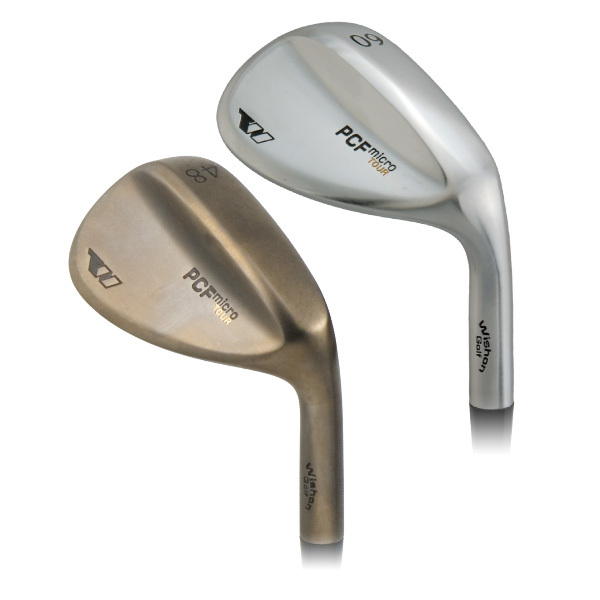 This is one more key to the enhanced spin design of the PCF Micro Tour wedges. •Designed with TWGT’s unique “zero-bounce heel” – all the bounce has been removed from the heel area of the sole to allow golfers to roll the face open without raising the leading edge. This is a key to playability from thin grass and even hardpan. RH available in 48, 52, 56, 58 and 60 degree lofts. LH available in 52, and 56 degree lofts. •Available in Bright Satin Chrome plating or Dark Nickel Platinum plating finish options. •Unique 2-piece design construction allows game improvement wide sole with traditional head profile at normal headweights. 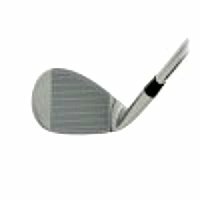 •The wide sole is designed with very low bounce – the perfect match of sole angle and width for game improvement. If you put the traditional amount of bounce on a wide sole, the leading edge will be too far up in the air and can cause bladed shots. •Ideal wide sole designed for game improvement – perfect for golfers who have struggled to get the ball out of the sand or hit consistently from tall grass around the green. •Micro-Groove™ scorelines are more narrow and closer together than traditional scorelines – the Micro-Groove design allows the edges of 5 lines to contact the ball at impact while traditional lines only allow 3. 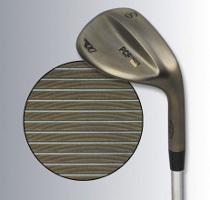 This is one more key to the enhanced spin design of the PCF Micro Wide Sole wedges. The Ultimate in Wedge Design – New Micro-Grooves with Horizontal Face Milling in a Soft Carbon Steel, Classic ‘Tear-Drop’ Profile with Medium-Wide Sole. •Beautiful Pearl Chrome Plating delivers a very striking and highly durable finish. It is no coincidence that top-ranked Tour players worldwide play Rifle shafts. 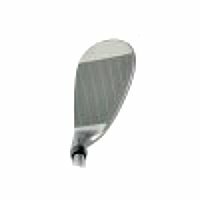 A new addition to the Rifle line is The Spinner Wedge shaft, is designed for sand, lob and gap wedges. 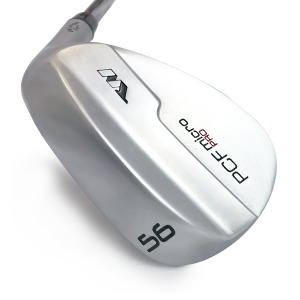 The Rifle Spinner Wedge shaft was developed for PGA Tour players who like a softer feel in their scoring irons, the wedges, which are used primarily for less-than-full shots. These shafts also offer the consistency and performance of Rifle's primary steel shaft lines.